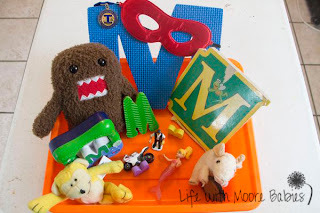 My Features This Week Focus on Sensory Play! 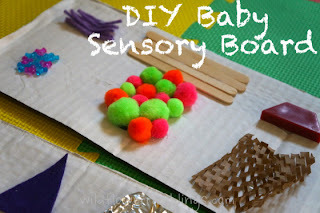 Wildflower Ramblings shared a great idea to get baby some safe sensory play. 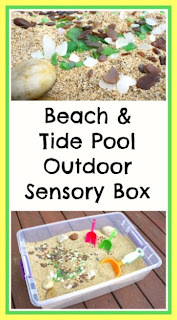 Buggy and Buddy had a lot fo fun with a beach and tide pool sensory box. Little Bins for Little Hands liked up a lot of great sensory activities, but this was my favorite, exploring water, land, and air! 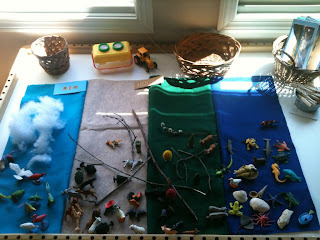 Every Star is Different studied the rain forest with this sensory bin (they had a couple other great ones too). 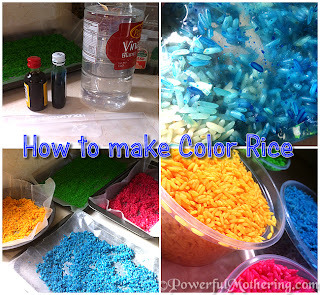 Powerful Mothering shows us how to make this beautiful colored rice for sensory bins; one of these days I will get around to making some! And of course we had our Letter M Sensory Bin! This week we have a Giveaway for you all too! It is a computer program called CollageIt! It allows you to quickly create those nifty photo collages you see, and we have 20 copies to giveaway! For a review of the software visit iGameMom! To enter leave a comment over at iGameMom with which version of the software you would want. Then you will have more options to enter! Enter between now and May 12th for your chance to win!